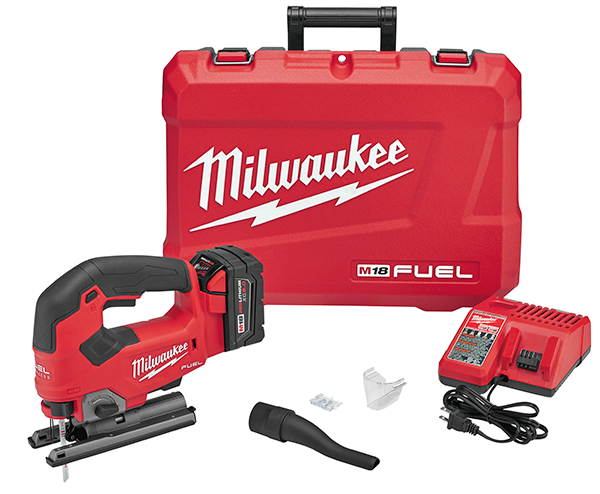 Milwaukee Tool has introduced a new 18-volt D-handle brushless jig saw, the first Milwaukee jig saw to utilize the company’s M18 Fuel battery platform. The new saw features a brushless motor that can deliver a sustained speed of 3,500 SPM, and the company’s Redlink Plus Intelligence electronics monitor speed and power to maintain consistent performance in different materials, the brand says. 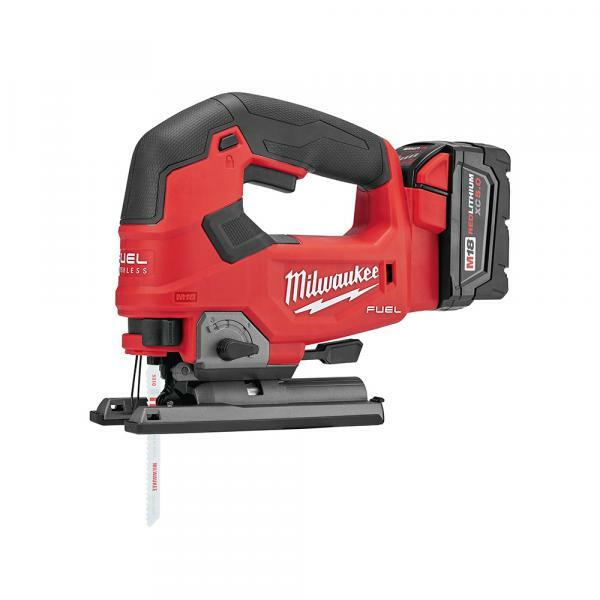 With the M18 Redlithium XC5.0 Battery Pack, the jig saw performs at the speed of a 15-amp corded product and can cut through up to 105 linear feet of ¾-inch laminated particle board in one charge. It also features a variable speed trigger, upgraded blade clamp, and roller guide to increase accuracy and stability. A toolless bevel allows for easy adjustments at 0, 15, 30, and 45 degrees. Later this year, the company will introduce a barrel grip jig saw with the same technology. The barrel-grip version will include an ambidextrous on/off switch and a six-speed dial with an auto-controlled start mode. When purchased as a kit, the D-handle jig saw comes with one XC5.0 battery pack, one M18 & M12 multi-charger, a dust tube, shoe guard, anti-splinter guard, dust cover, blade, hex wrench, and a contractor bag.